Crowdfunding will help us to realise our vision of combining the power of advanced technology with the potential of the human mind. With your help, we can make it happen. Crowdfunding is a brand new way for individuals to help projects that they believe are exciting and worthy of support. Often, Crowdfunding projects have a capability to do real social good, have great untapped potential, are a break-through in some way or just have a strong connection to helping the interested individual. Contrary to traditional ways of financing commercial or non-commercial projects, Crowdfunding empowers a group of people to directly get behind something they believe in and are passionate about. The support from the crowd comes from both funding and 'buzz'. In terms of funding, each individual chooses a level of contribution in return for a perk or reward offered by the project campaign. Funding contributions are made via an online Crowdfunding platform (like www.indiegogo.com). Buzz is generated via communication through the campaigns social media and each individual's social network platforms (like Facebook, Twitter and LinkedIn). Together as a crowd of individuals, if enough people provide funding support, the financial requirements of the project and its objectives are met. In terms of buzz, contributors are encouraged to spread the word about the virtues of the project campaign to their own social network in order to widen the number of people interested. Both funding and buzz are vital to produce a successful Crowdfunding campaign. Rather than going through the traditional funding routes, which take time and can be very restricting, Crowdfunding offers us a really exciting alternative way to finance our vision and make greater and faster progress. We are in the early stages of our development and to grasp the potential, we want to be influenced, guided and helped by the people who are actually going to be using the product. Specifically we have the chance to directly gather active involvement in shaping our solution from the people who share our passion for making a difference rather than a sole desire to turn a profit. The feedback from our users, members of the medical community and industry figureheads has been really inspiring and we are very proud of what we have achieved to date. Through Crowdfunding and the growth of social media, innovative concepts like ours really have a chance of questioning established solutions to wide spread challenges, with breath taking speed. If we gather genuine support from our community through Crowdfunding, we know there is so much more we can do with our patented technology to deliver social good and push the boundaries of what our product can achieve for our users. We recognise that in order to make it attractive to contribute to our Crowdfunding campaign, for some people we need to offer attractive personal rewards and benefits. Of course you may just feel that supporting an exciting break through innovation in brain training technology, enabling our huge potential to do social good and helping a small company to try and make a big difference, is enough reward in itself! Either way, we hope these will show our gratitude for your contribution to our Crowdfunding campaign, when it starts. We are looking to build an initial group of people who are interested in our Crowdfunding campaign. When the campaign starts we will need people to help us create a 'buzz' by using social media channels to spread the word about us, highlight the benefits of supporting us, explain our capability to do social good and encourage people to view and contribute to our campaign. We will also be looking to find initial funders who can seed our campaign with contributions in return for the perks / rewards we are offering. If you think you can help on either of these objectives, we would love to keep you in touch as we make more progress with our Crowdfunding planning and preparation. By registering your details here, we will keep you updated on our Crowdfunding campaign and we will also add you as a member of our Community. Also, if you register with us now, you will be entered into a free prize draw. 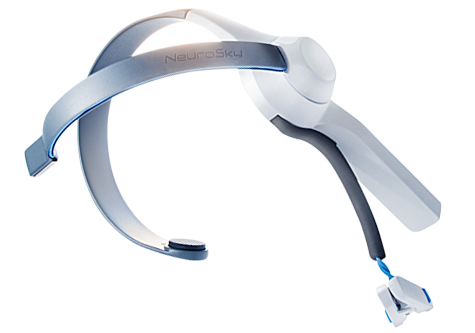 The winner will receive a new NeuroSky MindWave Mobile headset. If you already have one – it could make a great gift for a friend! Please provide your name and email address to register. Thank you!